This year’s World Disasters Report states that local actors, such as National Societies, national non-governmental organisations (NGOs), faith based organisations (FBOs) and community based organisations (CBOs), are ‘the key to humanitarian effectiveness’. Localisation of aid is also a key feature in all four themes of the upcoming World Humanitarian Summit in May 2016. This renewed focus on the local indicates a growing realisation in the aid community of the vital role local actors play in assisting with and improving humanitarian action. However, despite their contribution having always been essential, these organisations are often ignored by and excluded from the international humanitarian sphere and respective governments. The direct consequence of this reluctance to trust in and utilise all actors is that crisis-affected people are not receiving the humanitarian action they need. This must change. In light of this, I will firstly address how local actors are vital to humanitarian work. I will then discuss why they have thus far been neglected by the current system, followed by what we need to do to utilise them in improving humanitarian aid. Finally, I will point to HART as a case study that exemplifies the advantages of aid work through local partners. Local actors are crucial to the humanitarian system for many reasons, but their greatest utility stems from the fact they are always there. Because they are often a part of the population, they are usually the first to respond to crises and are uniquely placed to provide immediate, relevant needs-based assistance. Unlike some international actors, local organisations commonly speak the language and have an in-depth understanding of the histories and cultures of the region, again increasing the likelihood of providing aid based on the actual priorities of recipients. Furthermore, they can continue to act in spaces that international actors cannot and often remain after larger international non governmental organisations (INGOs) have moved on. Whilst international agencies may be unable to access areas due to security or political issues, local actors may be able to act more quickly and sustainably. An example of this is in 2011-12, when local NGOs reached Kachin IDPs in Burma whilst the UN was still attempting to negotiate access with the government. Local actors, therefore, may in certain cases address the ever-present humanitarian challenges of ‘shrinking access, fragmentation of operations and the gaps between response, recovery and development’. This critical and essential role played by local actors has often been highlighted by donors, scholars, UN officials, INGOs and others. Reports, evaluations and discussion groups have repeatedly called for the humanitarian community to support and not undermine the important work of local actors. However, in spite of the existing and growing rhetoric about localising aid, this has not been adequately reflected in action. Presently, local actors are not being utilised effectively by the aid sector resulting in wasted opportunities to improve humanitarian action. There still exists an unwillingness from internationals to place trust in these organisations and hand over both responsibility and independence; often, local actors seem to be perceived as a risk, rather than for the significant added value they bring on the ground. Several obstacles and dilemmas could be behind this gap between rhetoric and action, mostly originating from the international humanitarian ‘architecture’, which has seemed hesitant to genuinely build national and local capacity. The bureaucracy of this architecture does not encourage international bodies to partner with local actors, especially during a crisis when it can be difficult to identify suitable partners, whilst local organisations may be less likely to apply for international funding or partnership, due to these same levels of bureaucracy. In conflict situations in particular, international actors and their donors may worry about the neutrality and impartiality of local organisations. These partners may also lack the capacity to comply with the standards for monitoring and evaluation, again making it harder for international actors to justify their partnership to donors. Linked to this is the issue of finance. In recent years, there has been huge growth in the financing and scale of international aid, which has resulted in donors signing a smaller number of large-scale contracts with ‘trusted’ agencies, making it more difficult for small scale, local organisations to secure funding. A much cited illustration of this was the allocation of US aid to Haiti after the 2010 earthquake; of $6.43 billion, just 0.6% was given to non-governmental Haitian actors. However, these challenges to partnering with local actors can be overcome and tackling them should be seen as an opportunity to create a more inclusive humanitarian system. The current system is based upon a model which is at odds with the changing reality of the field; new forms of humanitarian action are emerging, driven by an increasing variety of actors, who could lend their relative strengths to a coordinated approach. Therefore, a more open and adaptive system is needed to meet the humanitarian challenges of the future. Although local organisations cannot do everything, a better balance needs to be struck between the international and local to maximise the strengths of each actor. Encouraging mutual cooperation and respect would be for the benefit of all, but most importantly for the people the humanitarian community are working to help. With regards to funding, the principle of independence needs highlighting. More trust could be placed in local organisations to give them the flexibility they need to meet the needs of the affected population and better ways to get adequate funding to local actors must be found in order for the necessary capacity building to happen inside the country. International donors should be encouraged to move beyond direct emergency funding towards financing in-country income generation projects and supporting local partners to establish national or systematic fundraising methods. HART provides an excellent case study to highlight the advantages of delivering humanitarian aid through local actors. The crux of the World Disasters Report is that we should think of local actors ‘on their own terms’; HART has been doing this since its nascence. The core of HART’s approach surrounds their partnerships with in-country organisations, established through personal relationships made and maintained through regular visits. In this way, mutual trust is founded from the outset, both ensuring that HART support is well placed and allowing partners the flexibility needed to adapt to changing situations and subsequent needs. In each country and context, the solutions and models of humanitarian action will vary, but facilitating partners to meet the needs they themselves have identified ensures that aid is most effectively delivered. Additionally, HART supports and encourages their partners to build the capacity to become self sustaining through external training. As such, in all eight years of working this way, none of the programmes HART supports has become a ‘white elephant’, something that is unfortunately common in the Western aid sector. HART’s former partner in South Sudan, the Evangelical Presbyterian Church (EPC), illustrates the success of this approach in action. HART supported EPC in delivering their own agenda of primary healthcare and agricultural projects in their community and surrounding areas. Through the partnership, HART helped the organisation to build capacity and gain access to internal and international donors, enabling EPC to grow to the point where they no longer needed HART to support them. In this way, both relevance of aid and sustainability were achieved. It is undeniable that local organisations can play an indispensable role in assisting with and improving aid delivery. They occupy a distinctive position within affected communities and are therefore able to act in ways, times and places that international actors often cannot. Supporting non-governmental actors could help us meet and overcome some of the challenges facing the sector and will increase both the short-term and long-term humanitarian impact. Moving forward, the international aid community should continue their renewed focus on localisation and look to realise the complementarity which could be achieved by a more inclusive humanitarian ‘architecture’. Translating the international rhetoric into local action will be for the benefit of all. IFRC (2015) World Disasters Report: Focus on local actors, the key to humanitarian effectiveness, Lyon: Imprimerie Chirat. p.11. IFRC, pp. 12 & 110. 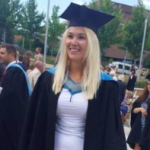 Rowena is currently a Research and Campaigns Intern at HART and has just completed her master's degree in Defence, Development and Diplomacy at Durham University. She is especially interested in gender equality within the context of human rights and mainstreaming gender sensitivity into humanitarian programming. She is passionate about advocating for women and youth's rights around the world.